VPN Services or Virtual Private Networks are a great way for you to browse freely, securely and with an additional layer of privacy. How does VPN work? Our video below explains in a simple presentation how VPNs secure your connection & the why you may want to use it. I try to explain it in a very simplified manner in order to reach a wider audience of beginners, and general public with little to no knowledge on internet, networking and protocols, by sticking to the essentials. For a bit more in-depth information, read through the rest of my post, and leave any questions you may have in the comments section. 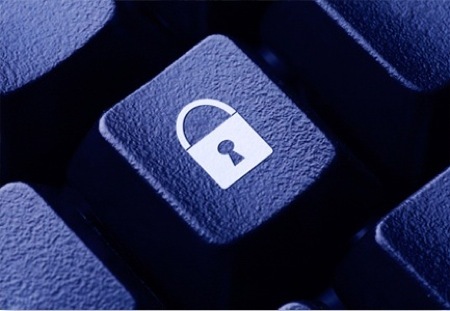 For starters, the popular term VPN stands for “Virtual Private Network”. It is used to describe an encrypted, private digital network that exists between two or more physical computers. The virtual private network is an internal network that exists inside of an existing network. In simple laymen terms, it is like having a private tunnel passage between computers. This private network tunnel is granted access with account credentials, and encrypts all the data inside in order to keep in completely private to any external snooping, or unauthorized access. This is used to protect data, or access to business servers and computers, essentially adding a layer of security. A VPN works through an encrypted gateway protocol for internet traffic, routed through server connection points available across various countries. When browsing the web, your traffic requests, say you go to a website, or download a file, require passing through many servers and connection points in order to resolve the address and send that data back to your computer or mobile device. Your ISP, data-collection agencies, or anyone with access to one of those access points can virtually collect all your data information, and link it back to your internet IP address, which is in turn is linked to your internet subscriber account. The way a VPN works, is that it encapsulates and encrypts your data through a secure protocol, effectively adding a layer of privacy and security, and no longer allowing any free snooping and collection of internet traffic. As you may already know, you can also access geologically fenced, or restricted content to your country, by connecting to a VPN server to a country that is not blocked. Some people use it for saving money on VOIP calls or even to book hotel rooms and car rentals at cheaper rates by testing different country portals. The uses are various, but securing your data and unblocking web content are the two mostly used advantages offered by VPN providers. Public Wi-Fi access points have become another big reason to use VPN on mobile devices. Laptops have now been joined by heavy usage of smartphones and tablets, giving even more incentive for cyber criminals to camp at free Wi-Fi locations such as coffee shops, airports, libraries, or just about anywhere with a free and unsecured access point. You may not be aware, but it is very easy to intercept and steal the data from anyone using open Wi-Fi connections, sometimes to the point of hacking into your device and having access to locally stored data. The most effective way to protect against these types of attacks, is to always initialize a VPN server connection before logging into any public Wi-Fi access point. VPN Servers can slow down your internet speeds and cause latency. This heavily depends on how far the server is from your actual location, and the server load of the service itself. Some other factors, such as the connection protocol and quality of service also affect how much or how little affect the connection will have. Some VPN services can often make certain websites, services, or gaming servers run faster, due to having more direct, private connection routes due to privately owning large tier-1 networks, but it’s not always the case and not for all services, so you have to take it with a grain of salt. OpenVPN is the best option to use for mainstream consumer VPN use. The main reason being that it provides very strong security and strong defense against attacks, while having minimal affect on bandwidth speeds. It can be used with variable encryption levels and the majority of the VPN software options provided by the best VPN services utilize OpenVPN as the default protocol, but you can also use the official software and manually configure servers. This requires more work, so it’s always nice to pick a VPN service providing custom OpenVPN capable software. You should always use OpenVPN protocol when possible. 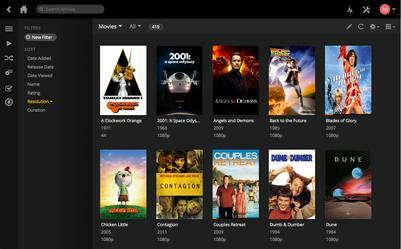 It has now been adapted to run compatibly with iOS iPhone and iPad devices, but can sometimes require manual setup. L2TP/IPSec and similar Cisco IPSec is a dual layered protocol that offers very strong protection, but due to encapsulating encrypted data twice, speeds and latency can be affected, making it a poor choice for gaming or streaming video for example. However, as an avid user myself, depending on the VPN server region, I can get away with streaming standard quality video, but would not recommend it for anything more intensive. Being that it offers proper protection, if data security and privacy are at the top of your priorities, L2TP is your best second choice, where OpenVPN may not be available. Although L2TP/IPSec’s dual-layer encryption represents strong encryption, some of the recent NSA document leaks do indicate a possible security flaw. If you’re really strongly wanting the best security, stick to the option above. If you don’t have a better choice, L2TP will most likely keep your secure in the vast majority of web applications. Remember, some security is always better than none. PPTP the the predecessor of L2TP and is generally known to no longer present any valuable encryption. The 128-bit encryption technology is outdated and this old protocol has been compromised. With that said, if security is not at all what you’re looking for, PPTP is the best second option to OpenVPN because it often causes minimal speed and latency loss over VPN servers. Users that only want VPN for accessing blocked websites in other countries, access game servers, whatever it may be, as long as you’re not after securing your data, you can always opt for PPTP. If you’re at all concerned about the privacy and encryption of your data, PPTP should not be considered at all. Using this protocol over public Wi-Fi networks is not sufficient to keep your traffic an devices secure. But, if all you’re after is some good video streaming, downloading, or gaming speeds, you can certainly test it side by side with OpenVPN and see which one fits best. You want to ensure that whatever service provider you pick, it offers good coverage of the key countries you will utilize the most. If you wish to watch TV and news streams from just about anywhere in the world, you’ll be pleased to know that most of the best VPN services now have grown to have very large private networks that span across the globe, giving you worldwide coverage that fits the needs of most. With the exception of the native OpenVPN software, manual VPN protocols available on your devices are not ideal. You need to manually enter all the IP information for one individual server every time, making the task of changing servers and locations very unattractive and long. That’s why good service provide their own software that embeds OpenVPN and other protocols that can be easily selected in the settings or drop down menus. Along with that, a full list of server locations, often with ping and speed test options in order to quickly find the best ones. Connecting is often very simple, select a server location of your choice and click or tap connect. Finally we have cost. If you’re looking for a free VPN service, options do exist, but you can’t expect to have great speeds, and it becomes harder to entrust the safety of your private data. Most providers work on paid monthly plans, that can be discounted by selecting a 6 or 12 month package. Some providers are cheaper than others, but there’s a few things to consider first. ExpressVPN offers up to 3 simultaneous devices per account, and have slightly higher prices than most VPN services, but you can expect a premium service, with excellent software, great service and a 30-day money back guarantee. They probably have the best software I have used, and the service is a notch higher than most tickets I’ve had to open with some other providers. Paying a little more can go a long way and be rewarding if you want a headache free experience. PureVPN offers slightly lower prices, and up to 5 simultaneous devices, making it a cost effective service for anyone with lots of hardware to use. They also provide great software and service, but the money back guarantee is only 7 days long, and strictly limited to 3 gigs of use. You may think this is a rip-off, but VPN providers are often the target of cyber criminals and abuse is handled by limiting fake accounts. The best thing is to simply connect to various servers for the first couple of days and run speed tests to ensure your location is getting adequate speeds. Private Internet Access has some of the best prices in the industry and also allow up to 5 simultaneous devices. In my opinion, they represent the best bang for your money when it comes to VPN service. With that said, the software is simple, does not offer much options on server selection, and sometimes speeds get slow, but that’s usually easily fixed by reconnecting. Private Internet Access might have the best prices, but they also have a no refund policy, and that’s to be expected as a yearly plan costs pocket change. That covers the majority of the important basics, while giving you a clearer understanding the the popular payment plans used by almost all VPN services, but one last topic I want to cover is one that I get asked about often, in regards to different hardware besides desktops, laptops, and mobile devices. How do I use a VPN on my AppleTV, Xbox, Playstation ect…? The short answer is you don’t, but you can. Game consoles, , AppleTV, Roku, whatever it may be, can all benefit from a VPN service, since you’d be able to unlock online content while using the network devices. 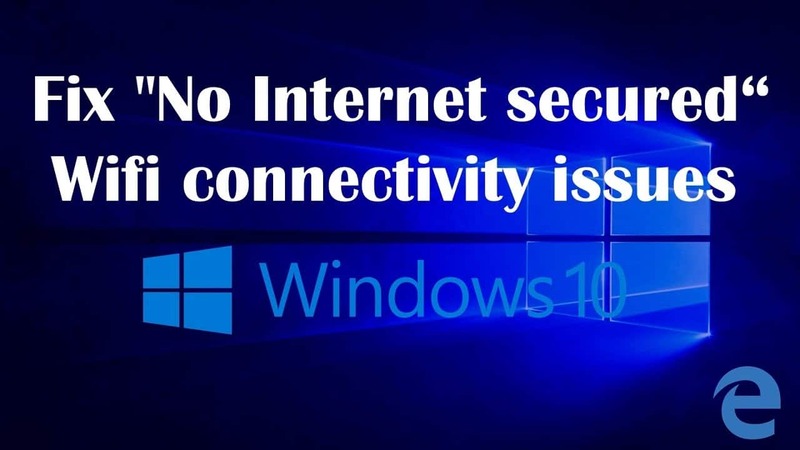 However, they do not have the necessary connection protocols on them for VPN connections, as covered above. Additionally, you can’t just install software on those third-party systems, so your options become limited, but not impossible to overcome. There are two main options to consider. The simpler one is SmartDNS – Most VPN services include free SmartDNS servers. You may have heard before of people switching their DNS IP addresses on their consoles or such, in order to unlock Netflix or other online services. This works very well with proper SmartDNS services, and many providers offer full setup guides on their websites, guiding you step by step on how to change the servers to one of the country location of your choice. The downsides of this option are that no encryption is used, so your data is not secure or private, but for gaming and streaming, that also means better speeds. The second is that you constantly have to manually add or remove it when you don’t want to use it, or need to change country location. The second option is using a VPN Router – VPN configured network routers are quickly becoming more popular due to the ability of routing and securing all your devices at once, being your game console, or AppleTV or mobile devices on Wi-Fi. Pretty much anything that is connected wired or wireless to that router, will go through a VPN encrypted server of your choice. This is great for anyone that needs to connect many devices at home or at the office, as it negates the need for multiple accounts, or multi-user capability. The router only counts as 1 logged connection. This also means you need to change servers manually, and if you want to have an unsecured network, you need to have dual routers setup. Setting up a VPN router is not always an option for a beginners as it requires specific firmware, but luckily there’s some pre-configured options. To learn more, head to our router firmware comparison, or to see some compatible devices, check out DD-WRT routers page.